These ORGANIC varieties were exclusively grown outdoors 1 and selected in cooperation with amateur and market gardeners, nursery growers, researchers and extension agents, as well as other professionals from the seed industry. They have been admitted to the European Union’s Plant Varieties Catalogue as amateur varieties and are therefore available on the market. 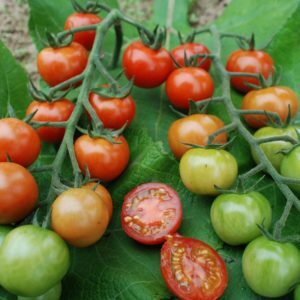 These varieties are resistant to Late Blight (Phytophthora infestans) and boast an impressive fruit quality—two attributes that don’t always come together. 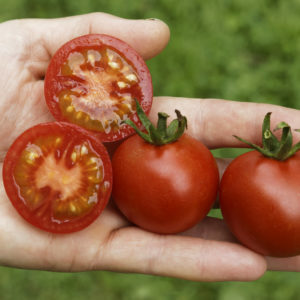 They can be grown successfully with only small mounts of fertilizer and require less water than most tomatoes. Cultivation in pots or planters is possible. 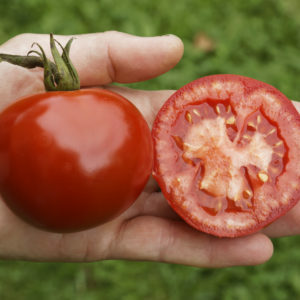 Classic red, juicy salad tomato with an exceptionally intense tomato flavour and a pleasantly thin skin. A large salad tomato with an exceptionally fruity taste and intense tomato flavour.